The South Euclid Lyndhurst Board of Education officially named Kathybel Ortiz as the new principal at Memorial Junior High School at a special meeting earlier this week. Ms. Ortiz joins the SEL team with a substantial level of public education experience, most recently serving as building principal in the Lorain City Schools. Ms. Ortiz will officially assume her duties on August 1, 2013. Ms. Ortiz has spent the past six years as a building administrator in the Lorain City School District, where she led a diverse learning community and demonstrated an emphasis on instructional and collaborative leadership. Prior to being a building principal and assistant principal, Ms. Ortiz spent more than a dozen years as a classroom instructor, primarily teaching science to junior high students. She holds a Bachelor of Science degree in Elementary Education and a Master of Education in Curriculum and Instruction from Cleveland State University. Her Licensure in Educational Administration was obtained at Bowling Green State University. 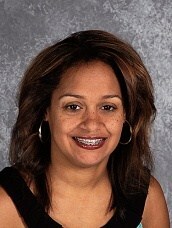 The South Euclid Lyndhurst City Schools officially welcomes Ms. Kathybel Ortiz to Memorial Junior High School!